Hi everyone! 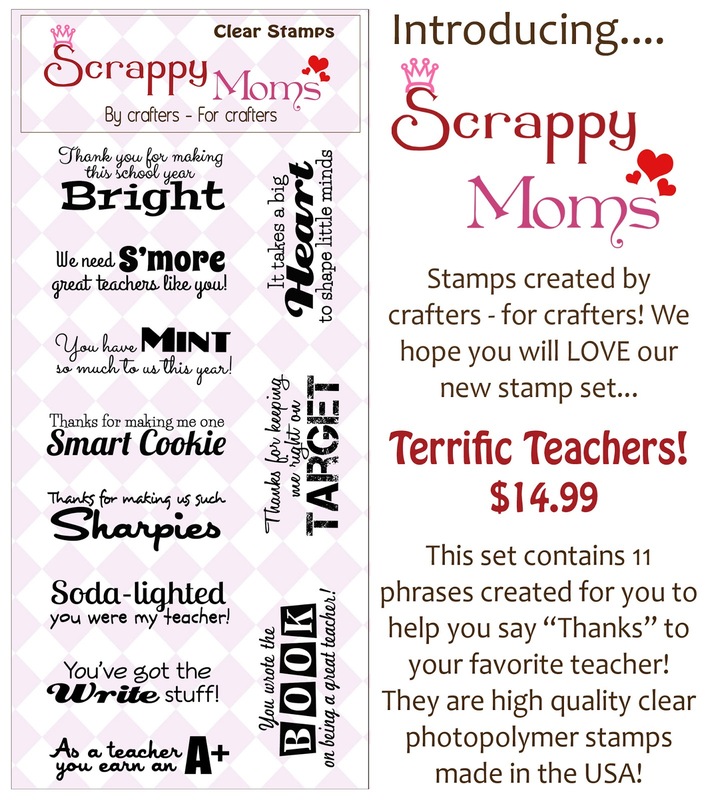 Scrappy Moms has just released two adorable new stamp sets. The first is Terrific Teachers. Just in time for teacher appreciation. Next is For Peeps Sake! 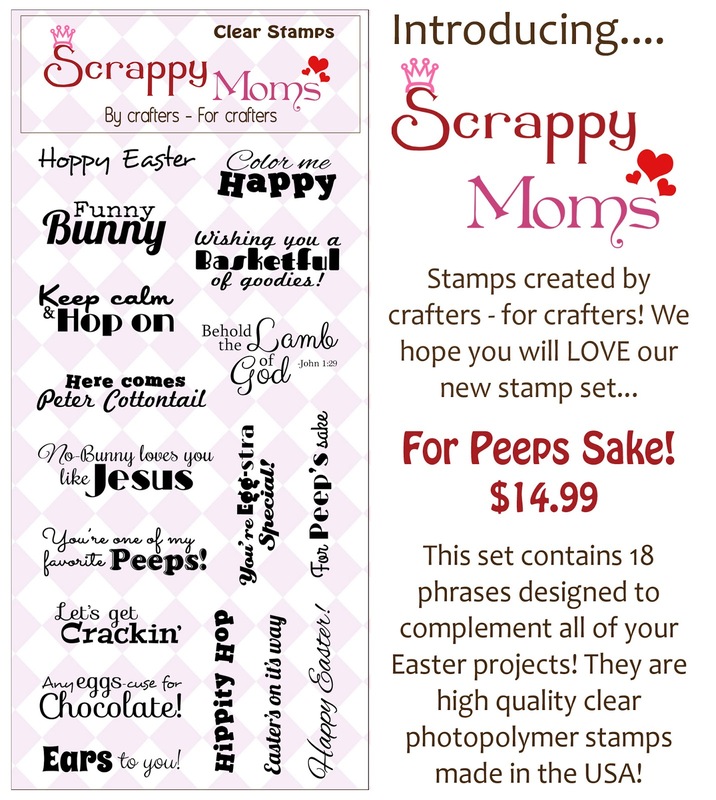 These are so perfect for all your Easter projects. 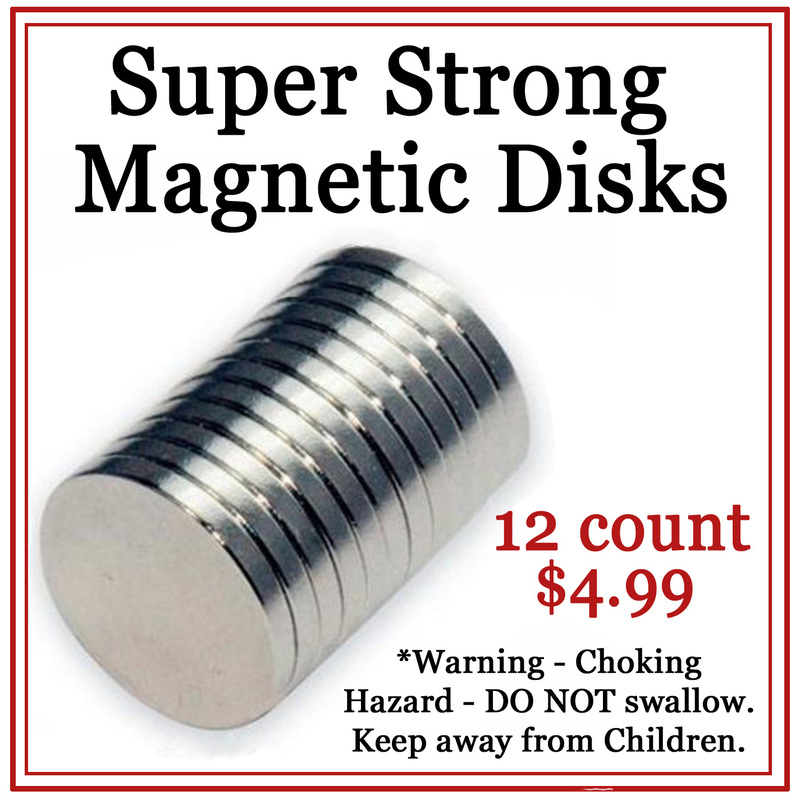 This release also includes these new magnetic disks. Perfect for keeping treat bags, gift card holders and other projects closed. 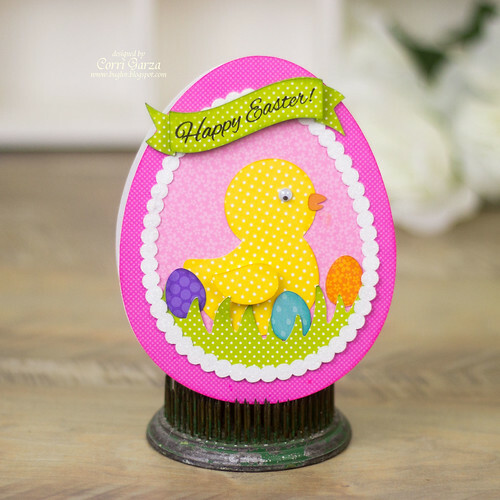 This adorable sugar egg is from Sweet Elsie. These bright Spring papers are all from Doodlebug Design. I love all of there paper. On this card, I mixed the Kraft in Color and the Springtime Collections.